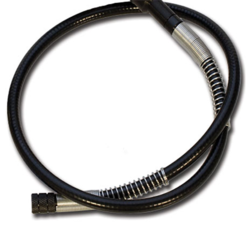 Our product range includes a wide range of flexible shaft, tube cleaning flexible shaft and flexible rubber shaft. We are counted among the reputed business entities, engaged in offering premium grade Flexible Shaft. This offered shaft is strictly tested by our experienced quality inspectors, against set industrial standards to avoid any flaws. Our provided shaft is extensively acclaimed amongst our reputed clients due to its optimum flexibility and sturdy structure. Apart from this, our esteemed clients can avail this shaft from us at market leading prices. Mtrs. Feet Sr. No. MODEL NO. MODEL NO. MODEL NO. MODEL NO. MODEL NO. For BPC-2 & BPC-3, Flexible Shaft with stainless steel inner core can be supplied if specified by a client. While ordering flexible shafts & accessories, each item should be ordered for specific tube/pipes size or size range. Stainless steel inner core ensures our shafts have the longest life, resistance to corrosion, To order flexible shaft (s) determine tube I.d. & Length of a longest tube (s). Order flexible shaft(s) to correspond with tube I. D.(s), & length. Please ask for special or longer length. Model No. BPC3-45 chiller tube cleaning system uses a 3/4 HP motor for tougher deposits. 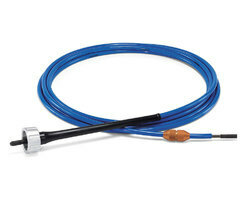 A 2 directions foot switch is provided for cleaning internally enhanced tubes. • Repairing kit for flexible shaft NFSC-703 couplings, 1 crimping tool with the punch, 1 flexible shafts lubricator, & 2 bottles of lubricant tubes. It consist of metallic flexible inner core with multiple wound opposite layer. It is made of high tensile spring steel or stainless steel (as per requirement) and passed through heat treatment processes to make it absolutely vibration free. 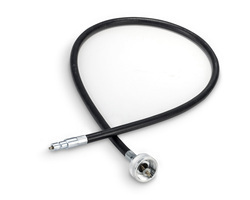 External sheath made of flexible double interlocked (metallic) or rubberized cover. External sheath is provided with anti friction liner to protect it from friction of high speed movement of inner core.